A pair (two) of cut vinyl visor stickers in your choice of colour and font (use our font preview below). Letter height is fixed at 8mm, length is determined by your lettering (upto 200mm). 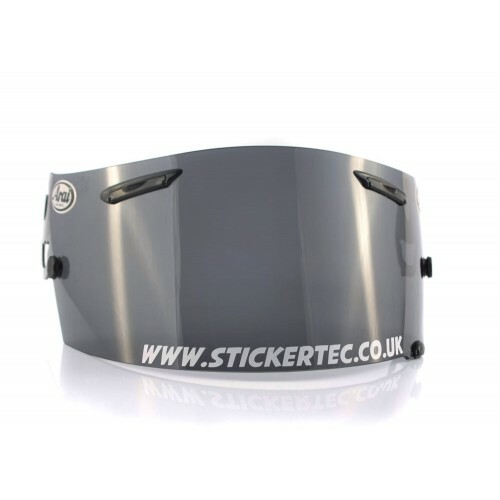 The decal is produced with a curve to flow with the visor shape at the lower edge, we have produced this curve from an Arai® visor (as pictured) although it is suitable for most other makes.